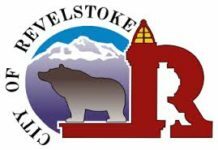 I have received inquiries about where the CSRD and the City of Revelstoke are in relation to discussions about our Fire Protection Services Agreement. 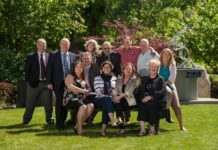 Rural residents should have received a letter from the CSRD providing an update but municipal residents have an interest in this matter as well. If we do not come to an agreement and the service is discontinued then municipal taxpayers will have to pay for the full cost without our cost-sharing portion. Discussions have been ongoing but we have not been able to reach concensus on the terms of a new agreement at this time. Both the CSRD and the City have agreed to mediation to help facilitate an agreement. As this process does take time the City has agreed to extend the existing agreement until September 1st 2018. I am hopeful that we will be able to reach a fair agreement that works for both CSRD and City residents. We will be sending another update letter either when we reach agreement or before the September 1st contract expiration date. The CSRD has received a referral by BC Timber Sales [BCTS] regarding the use of herbicides for several areas of harvested cut blocks within Area B. Aside from my general concerns about the use of herbicides for brush control, I am particularly concerned about the area that was recently logged on Mt. MacPherson. This area is on Revelstoke’s doorstep and is used by local residents and visitors for recreation, berry picking and mushroom harvesting. The area is also very close to rural residents and there are concerns as it relates to domestic water. The herbicide to be used is glyphosate. It will be used to treat thimbleberry, fern and fireweed. The time of application will be from mid August to early September. There has been no public notification/consultation process associated with this application. Letters were sent to crown tenure holders, water license holders and to the private landowner close to the block. A 60 day consultation period was provided to 1st Nations, trappers, guide outfitters, and previously identified groups only. The reason given for the lack of the 60 day public notification was that the public had an opportunity to review their Pest Management plan in 2016. There was a lot of controversy about logging in the area by BC Timber Sales and Stella Jones without adequate community consultation. After those experiences I would have thought that BCTS would reach out to our residents in a more fulsome fashion regarding post harvesting treatments. 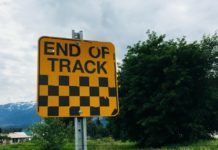 While I appreciate that the CSRD has received the referral, citizens in Area B and the City of Revelstoke need to be able to voice their individual opinions and concerns regarding this type of treatment. They deserve to be consulted. My response to the referral included the remarks above as well as my statement of opposition to the use of herbicides as there are alternatives, such as manual brushing. BCTS aught to be aware of the concerns of the citizens of our area in regards to pesticide use. 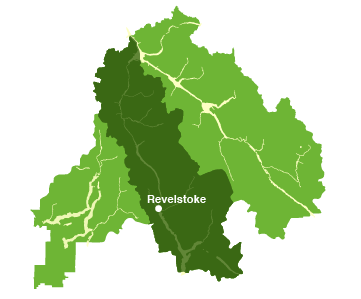 Due to citizen concerns, the Revelstoke Community Forest Corporation does not use herbicides and the City of Revelstoke has banned the use of cosmetic pesticides. Also, it is not good enough to just notify the parties listed above. To rely on a public notification of an Integrated Pest Management Plan from 2016 is not adequate so I have requested that BCTS give our residents the 60 day public notification period as well.